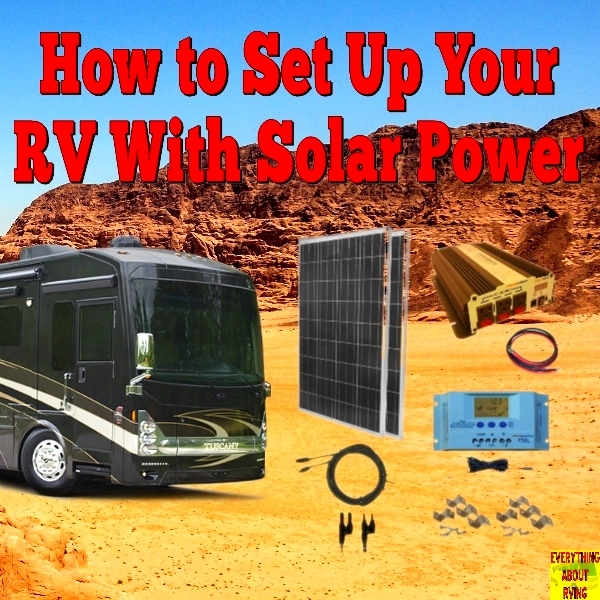 "There are many reasons to add Solar Power to your Recreation Vehicle"
Half a lifetime ago, when my wife and I first got a taste for remote RV living, we decided very early on that solar power had to be the way to go. 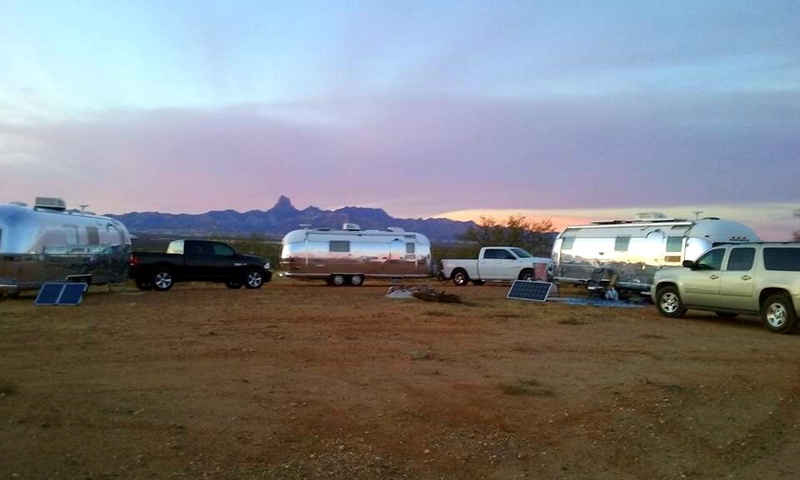 Despite rapid advances in solar technology -- even way back then -- many fellow travelers were surprised when they learned our RV was "solar powered". Granted, that tiny house-on-wheels was getting on in years, and there was still a general belief among caravanners and motorhomers that solar power was "too expensive" and "too technical". But whatever their reasons, I'm here to tell you that solar-charged 12 volt battery power was then, and still is, worthy of serious consideration -- regardless of the size or age of your traveling rig. In fact, even the most basic system -- such as ours was then -- provides not only a significant boost in self-sufficiency, it also saves enough money to recover your outlay in under three months. Even today. For example, a 30-watt, self-regulating solar panel costs around $280 to $350 here in Australia. If you then factor in a no-maintenance, deep-cycle battery of at least 75 amp-hour capacity -- to be installed in the RV -- at maybe $180, plus suitable cabling, a salable plastic battery box (vented to the outside), and miscellaneous hardware for, say, $50 more, your total outlay shouldn't be much over $600. After that, every night you make use of your on-board power, on a "no hook-ups" campsite, you stand to save between $15 and $25 on tourist park fees. Sometimes more. On those figures, the whole set-up pays for itself in maybe 30 nights or less! True, sufficient power would normally be available from your towing vehicle's standard battery over one or two nights, but if the vehicle doesn't move for two or three days the engine will almost certainly need a run for an hour or more to "top up" the charge taken out of the battery. And with single-battery set-ups, there is always a risk of over-using your power, resulting in a flat battery! On the other hand, if you prefer the overnight security and companionship of a tourist park, an unpowered site -- those nice, quiet spots down the back -- saves maybe $3 - $8 per night. Which means you could still have your investment back in the bank within six months. how you look at it, solar was -- and is -- the way of the future. It's clean, efficient, silent, and requires almost zero maintenance. And once the initial outlay has been covered, basic power needs from that point on are free. However, there is a downside. (Isn't there always?) A fixed solar array -- on the RV roof, for instance -- needs to be receiving the sun's rays long and strong to adequately replenish the battery's charge. Parked too long in the shade, or suffering through a lengthy stretch of rain-filled skies, can knock out a single-battery power supply in two or three days, even with judicious use. For that reason, some travelers have an additional, portable solar panel that can be constantly re-positioned to catch the sun's most direct rays, for as long as possible. And about that tricky technology? Well, if a techno-slouch like me can have the whole system installed and operational in under two hours, anybody can! What we did was: (1) mount the solar panel directly onto the RV roof (with sealant carefully applied in and around the screw holes), then (2) run the panel's cabling down into the van (through the corner of the all-seasons hatch) into a cupboard. Being a self-regulating solar panel, a regulator was not necessary between panel and battery, so the cables were fixed directly onto the battery. The battery was housed in a robust plastic storage bin with a close-fitting lid, which I further sealed with silicone. Two lengths of 6 mm plastic hose vented the box to the outside through the caravan floor (inside the cupboard). Battery terminals were fitted with heavy-duty extension straps that passed through the side of the box to the outside to facilitate normal connection via alligator clips, a portable 12 volt socket, or sometimes a low capacity inverter. All holes in the floor and the battery box were fully sealed (both sides) with silicone sealant. For our money, solar power and RVs are made for each other; it's impossible to imagine a wandering life without either. Copyright 2007 by W.V. Revill.